Scotland is strengthening its position as a good global citizen by continuing to make real contributions towards today’s global challenges. For years, Scotland has strived to fulfil its role as a good global citizen. We want to provide a strong, positive, progressive voice in the world; a voice for compassion, openness, diversity, tolerance, solidarity and inclusion. These are all values that Scotland holds dear – and part of what makes Scotland such a great place to live, work, study, visit or do business in. Scotland is ready to tackle the issues that really matter; whether it is global poverty, social inequality, human rights violations or climate change. However, we’re not just here to try and make a difference, we want to be one of the best small countries in the world when it comes to our contribution to international development. Scotland has established close relationships with four ‘partner countries’, who account for a large portion of the international development work we do – Malawi, Rwanda, Zambia and Pakistan. As well as being the main focus of many of our projects, Scotland has strong historical and contemporary connections with each of these countries, which help reinforce our close friendships. Our connection with Malawi and Zambia stretches back over 150 years to Scotland’s famous explorer, Dr Livingstone. Livingstone campaigned against slavery in both Malawi and Zambia and in fact, his heart was actually buried in Zambia, by his loyal aides, Chuma and Susi. There are also strong contemporary links between Scotland and Pakistan, including massive Pakistani diaspora in Scotland. And Scotland has been a committed development partner with Rwanda for more than a decade. We wanted to share some of the best projects that we’re working on with our partner countries, to show the many different ways Scotland is playing its part in the world. Diversity and inclusivity is a huge part of what makes Scotland such a great place to live. We believe that creating a society where everyone is given the same chance to thrive is hugely important. That’s why one of the projects we’re supporting in Malawi is specifically aimed at dealing with this issue. In Malawi, disabled men and women experience discrimination and exclusion from everyday life. As a result, the disabled population experience a much higher rate of poverty. This issue is particularly felt by disabled people in rural areas of Malawi, as they have little access to aids, skills development programmes, education, or employment. Tools and Training for Livelihood in Malawi Project is run by a Scottish charity called The Global Concerns Trust. The project aims to reduce poverty, enhance economic sustainability and improve the community integration of physically disabled women and men through business training and support. The programme has seen some great results, and is already making a real difference to Malawians. A massive 159 new businesses have been created by individuals who have gone through the programme. Not only that, an impressive 68% of graduates have actively passed on their learned skills to others. 2018 is Scotland’s Year of Young People, a themed year dedicated to shining a light on the fantastic contributions young people make. Today’s children are tomorrow’s leaders, and we believe they should be given every chance to shape their futures. This doesn’t just go for Scotland’s children, however, which is why Police Scotland began working with police forces in Malawi and Zambia to improve child protection and gender-based crime. Extreme flooding in Malawi in 2016 and 2017 saw the displacement of many families. 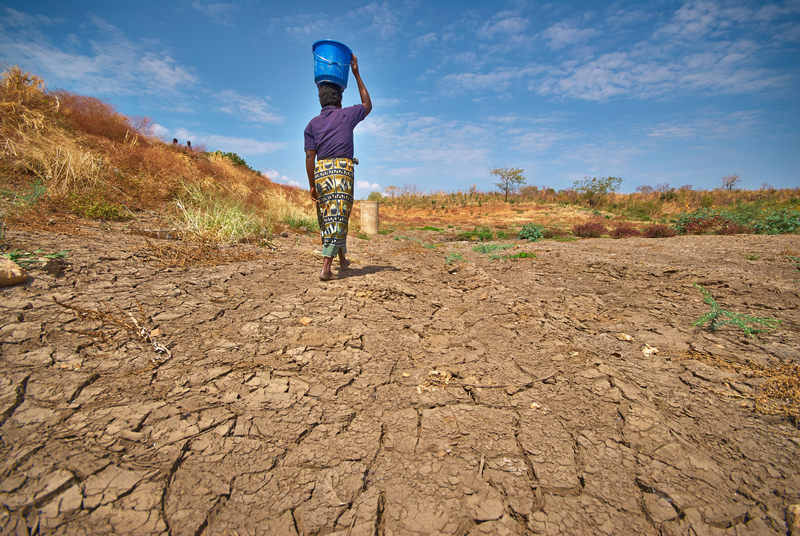 The Malawian government acknowledged that these flooded areas had an increased risk of becoming hot-beds of violence and abuse. Particularly at risk were women and children, who could be forced into prostitution in exchange for food, water and shelter. Although Zambia did not suffer the same disastrous flooding as Malawi, the Zambian police force also wished to improve issues around child protection, leading to the creation of the Police Scotland programme in both countries. The programme was designed to provide support and specialist training on tackling both gender based crime and improving child protection. Officers from Police Scotland actually deployed in both Malawi and Zambia, providing much needed face to face training with the local officers, to help them combat these crimes. Scotland’s water is amongst the best in the entire world. Whether it’s being used to create our world-famous whiskies, as a home for our irresistible Scottish salmon, or just getting a thirst-quenching drink from the tap, our water is marked for its quality. However, in countries like Rwanda, this is not the case. Millions of children are exposed to deadly diseases and forced to miss out on education because they don’t have access to clean water or decent toilets at their schools. In Rwanda’s Nyamagabe District, for example, most schools don’t meet the National School Water, Sanitation, and Hygiene standards. 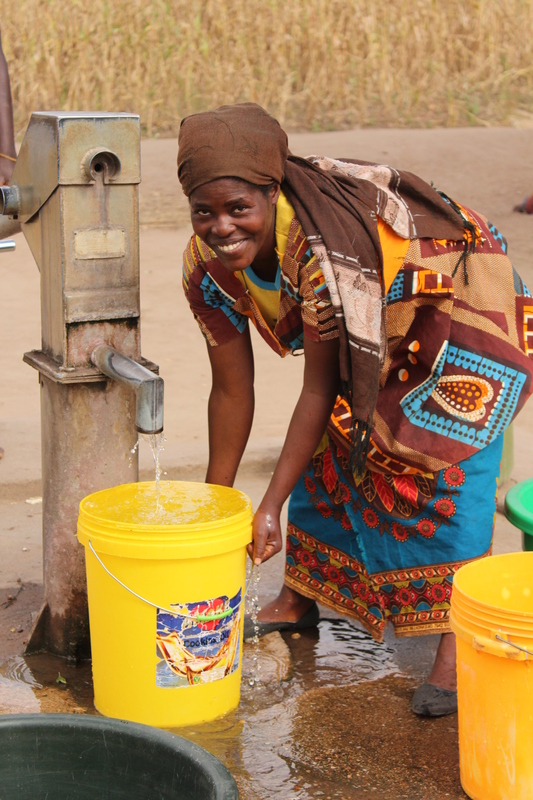 The WaterAid project aims to fight this inequality, by improving both health and sanitation in vulnerable areas such as the Nyamagabe District. From the creation of a rainwater harvesting tank, to constructing new toilets and hand-washing stations, WaterAid has already began to make a real difference for these children. Their work is ensuring not only that kids get access to basic necessities like fresh water, but also to much needed education. There’s still a long way to go in the fight for gender equality, but Scotland is committed to tackling this issue. One excellent example is the 50/50 by 2020 initiative, which was designed to even the balance of male and female leadership roles in the country. Leading by example, the Scottish Government itself adopts this balance, with a 50/50 split in the ruling government’s ministerial cabinet. However, Scotland wants to emphasise the benefits of gender equality everywhere, which is why we set up a number of scholarships in Pakistan that are specifically for women. The Scottish Scholarship Scheme for Women aims to make higher education more accessible to underprivileged girls across Pakistan, with scholarships available in areas such as education, sustainable energy, agriculture and health sciences. This can help ensure that women are at the centre of today’s issues not only in Pakistan, but globally. Since the scheme began, almost 600 young women from disadvantaged backgrounds have been able to study Masters courses. These scholarships not only provide increased participation for females in higher education, but can also directly contribute to greater gender equality in what are traditionally male-dominated professions. These causes are merely the tip of the iceberg, with countless other projects happening in our partner countries and further afield. We remain dedicated to being a good global citizen, and while these projects mark a positive step forward, we’re not taking our foot off the gas. From playing a key role in aiding humanitarian crises, to helping developing countries deal with climate change, to taking our internationally-recognised National Health Service out to support healthcare providers who need it most. Scotland continues to lead by example in doing what we can to help make our world a better place.